"THANK YOU FOR BRINGING JOY AND HAPPINESS TO US ALL AT RIVERVIEW PSYCHIATRIC HOSPITAL. YOUR MESSAGE WAS UPLIFTING." From jail and prison chapels around New England, to store front missions in Kentucky; From summer camps in Canada to the indigenous community that lives in the Quito, Ecuador city dump; from an orphanage in Juarez, Mexico to pastors’ conferences in South Carolina; from the Crow reservation in Montana to the streets of Santo Domingo, DR, and most recently, as part of Children's Day celebrations in Asuncion, Paraguay, the Supreme Court Jesters have been bringing their creative Gospel program everywhere the Lord has opened doors for the last 30 years. This ministry was once comprised of the five Hagerstroms: Richard, wife Susan and their daughters Jona-Lynn, Naomi and Rose. In recent years, Jo and Naomi have moved into ministries of their own, but Rose continues with her parents. 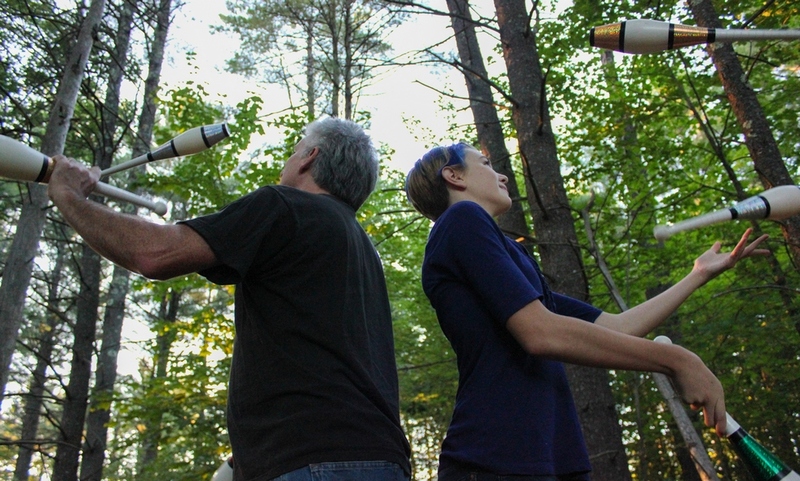 The Hagerstroms, who attend the Casco (Maine) Alliance Church, use a combination of juggling, illusions, humor and skits to present the Gospel to people of all ages and places in life. While some of their material is geared toward children, they are actually more accustomed to minister to adults or multi-generational w audiences. It is because of this diversity in their material that the Supreme Court Jesters are just as comfortable ministering at a local VBS or in the library of the local state prison. Furthermore, they have many routines designed to encourage, convict and challenge Christian audiences as well. 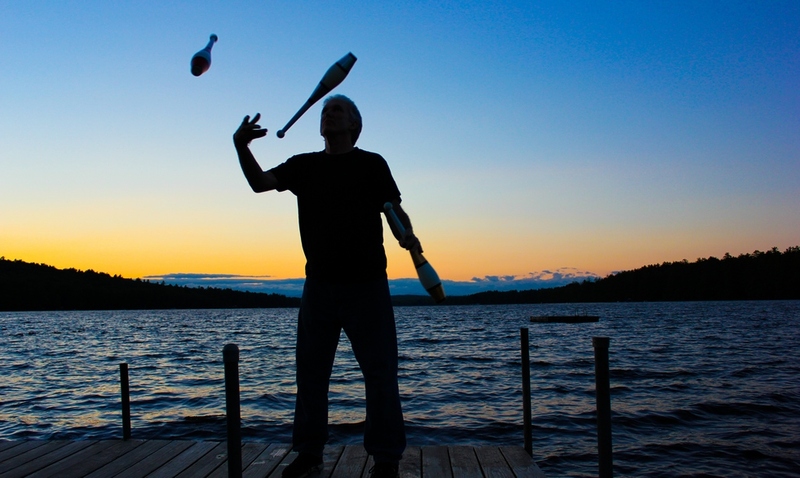 While still single, in 1985, Richard Hagerstrom, a one-time circus performer, began to envision how God could use his juggling and illusion skills to point others to a relationship with Jesus Christ. Soon afterwards, he and Susan married and Sue’s artistic, organizational and creative skills were a perfect complement to Richard’s performing. In 1991 they received the “Vision New England” award from the Evangelical Association of New England for their evangelistic efforts around the northeast. The following year, they were nominated for a Jefferson Award for outstanding community service. All three of their daughters have grown up participating in this ministry, including the family’s multiple foreign and domestic missions trips. 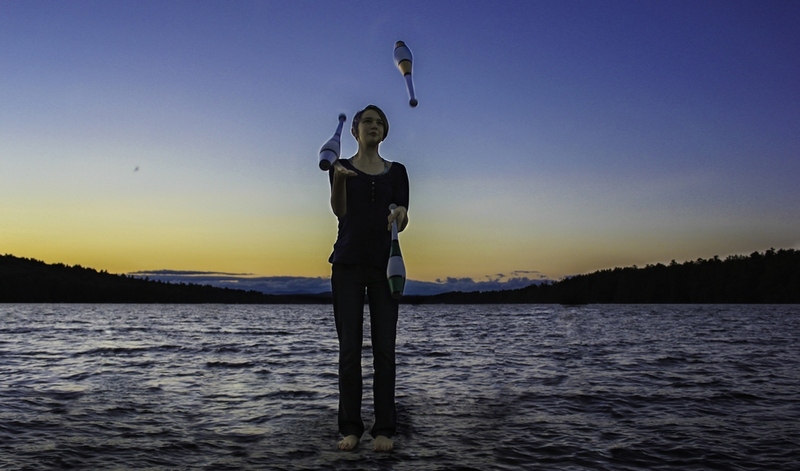 Jona-Lynn, the oldest of the girls, used juggling to create a dance routine that received a gold medal from a Dancers’ Inc. competition in May of 2009. Now students at Nyack College, neither she nor Naomi perform with their family on a regular basis, but Rose continues to be active with the Jesters. 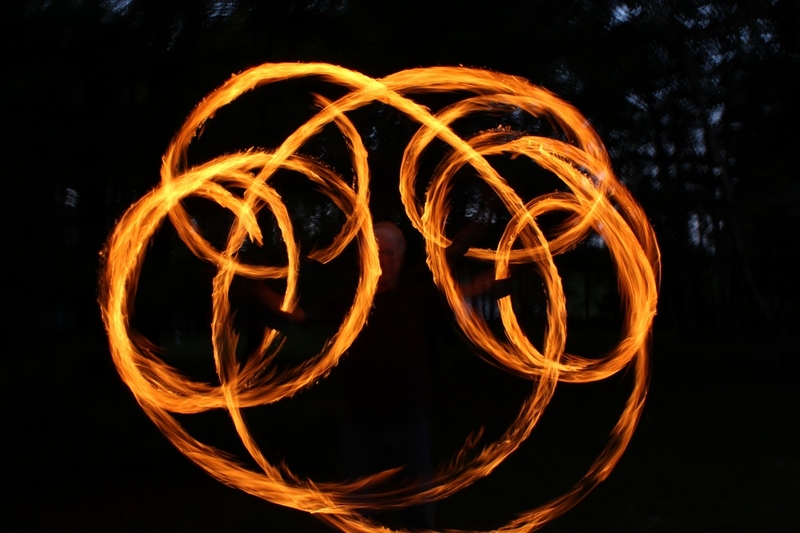 In any given program, audiences will be delighted with routines in which the Jesters may juggle balls, rings, clubs, machetes, hats, basketballs, a variety of fire props and more. Their illusions are all created to glorify God and point others to a closer relationship with the Lord.